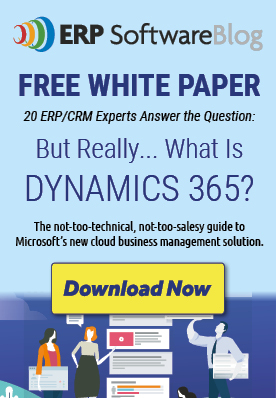 Are you using Microsoft Dynamics NAV just to get financial reports? Are you also using it for Business Intelligence? Microsoft Dynamics NAV can give you polished, professional insights into how your organization is performing using free tools like Power BI. You can take real-time data from your system and use web services published to Microsoft excel and on to Power BI for slicing and dicing. Power BI is available for free from Microsoft and can be downloaded on your phone, tablet or computer. Microsoft Dynamics NAV, Simply Powerful. Contact InterDyn BMI today to learn more.